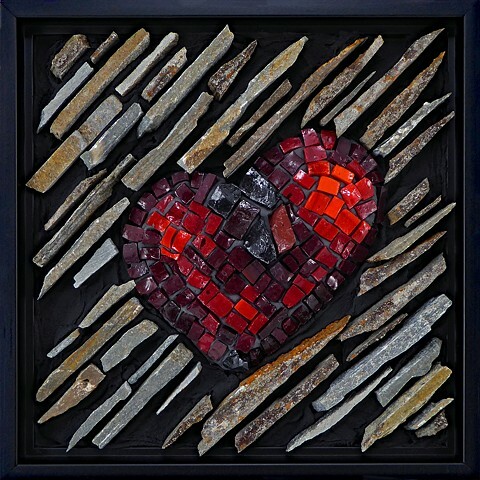 “I am a Canadian artist who creates original mosaic art using traditional and contemporary techniques. Originally studied art, specializing in painting and textiles, I became a glass artist in 1999. Once introduced to mosaics in 2004 I immediately loved the combination of colour, texture and freedom this medium allowed. In 2006 I was trained by Luciana Notturni at the Mosaic Art School in Ravenna, and I have continued to learn modern techniques by studying with many mosaic artists in North America.